Congrats again to Abby Scholz for taking 3rd at the Tri-State Royal in Goodland, KS. Sired by Unstoppable and raised by Rockfalls Ranch. 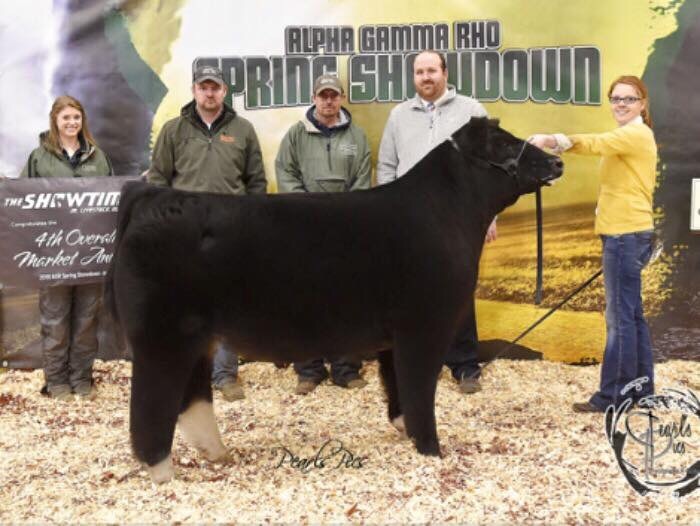 Congratulations to Abby Scholz and the Scholz Family for their Champion Market Heifer and Overall Champion Market Beef at the Phelps County Fair (Nebraska). Great job, Abby! Raised by Rockfalls Ranch.